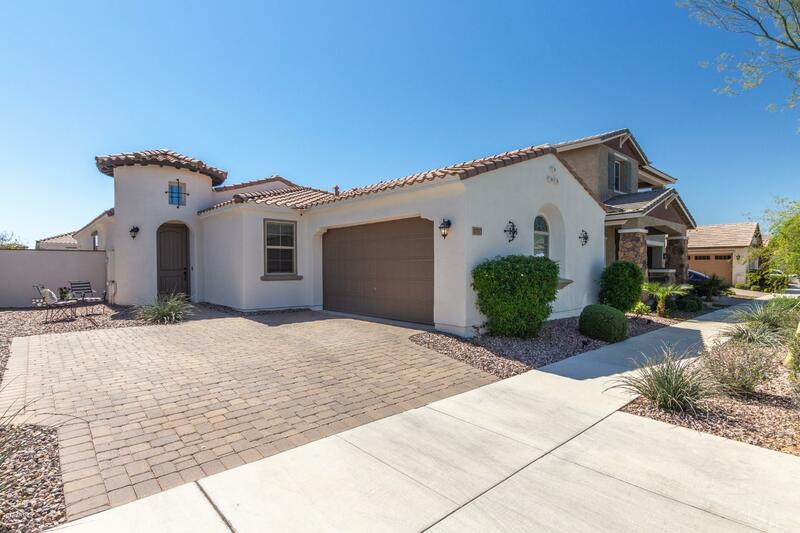 All EASTMARK DU-7 SOUTH PARCE homes currently listed for sale in Mesa as of 04/19/2019 are shown below. You can change the search criteria at any time by pressing the 'Change Search' button below. 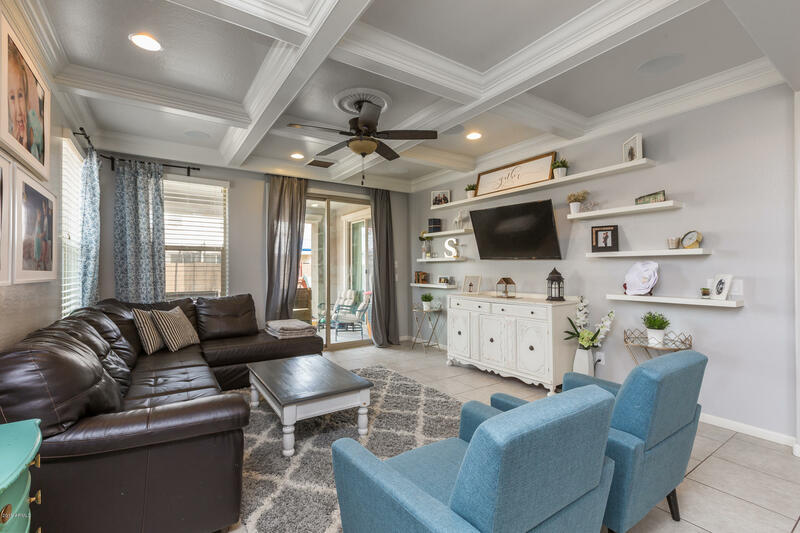 "This particular Meritage Annapolis model in Eastmark is nicely done - Walk-in closets in ALL 4 bedrooms, den w/barn door, pocket office, nook AND dining area. The chef kitchen boasts shaker cabinets, ss appliances, double ovens, a HUGE island and granite counters. 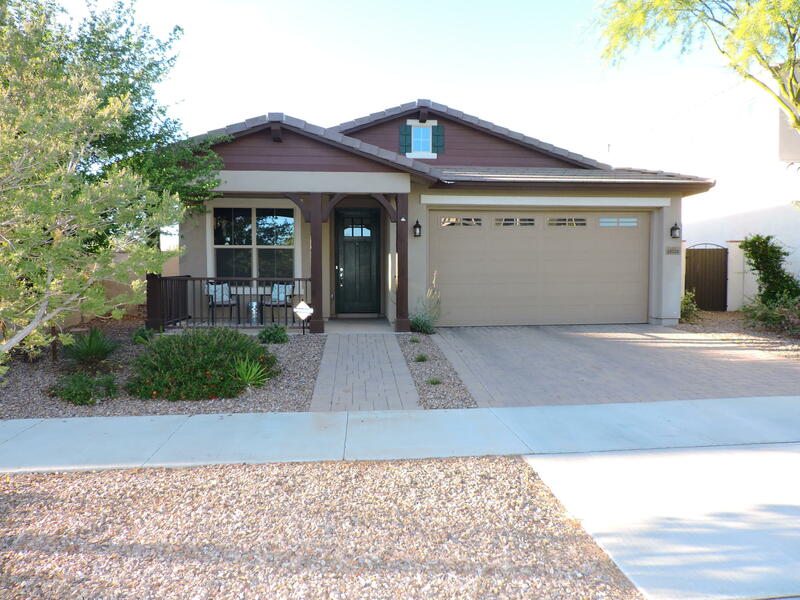 10' ceilings, 5'' baseboards, wood plank tile and upgraded carpet finish the sharp interior. A paver entry courtyard & back patio, gas fire pit and grass area accent the .26 acre lot this fabulous home sits on. Come see for yourself!" 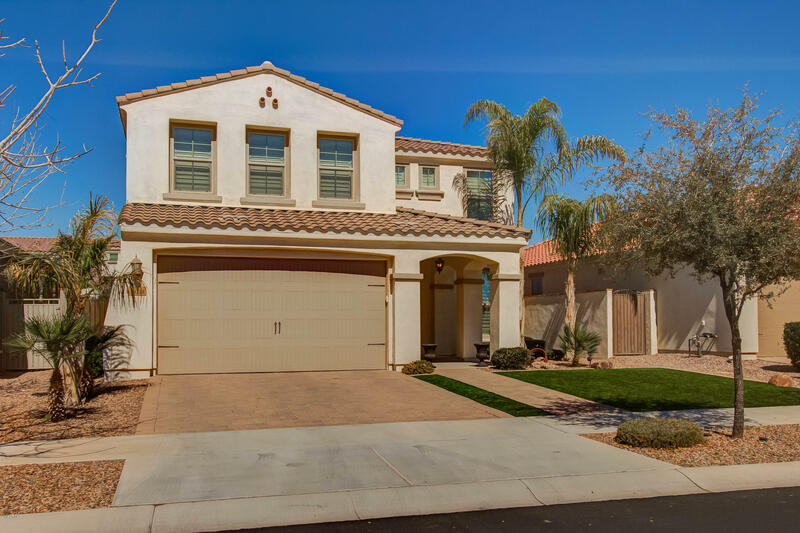 "You'll love this spacious family home in the award-winning, master planned community of EASTMARK! 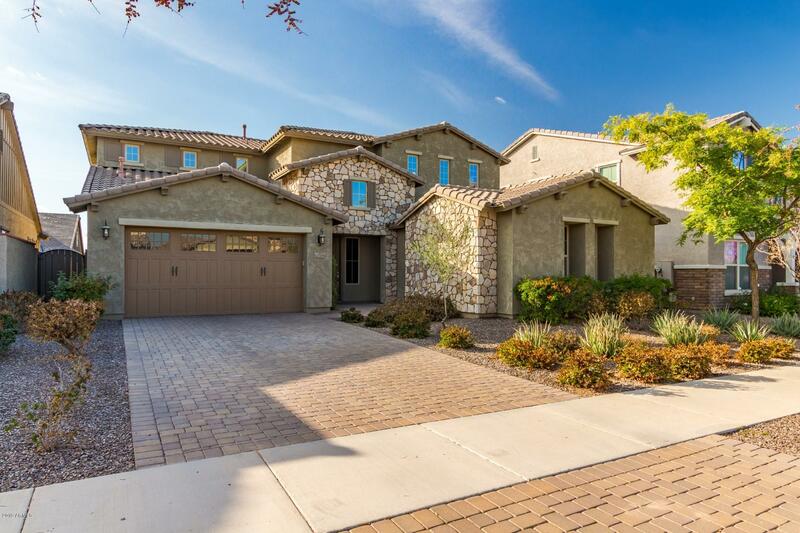 This home offers 4 bedrooms + den & 3.5 baths with a great room, formal dining & huge loft/game room. The gourmet eat-in kitchen features an abundance of dark maple cabinetry with crown molding, granite countertops, glass tile backsplash, gas cooktop, stainless appliances (including double ovens! ), walk-in pantry & island with breakfast bar & pendant lighting. Sliding doors lead out to the covere"
"At Last, This Is What You've Been Searching For! 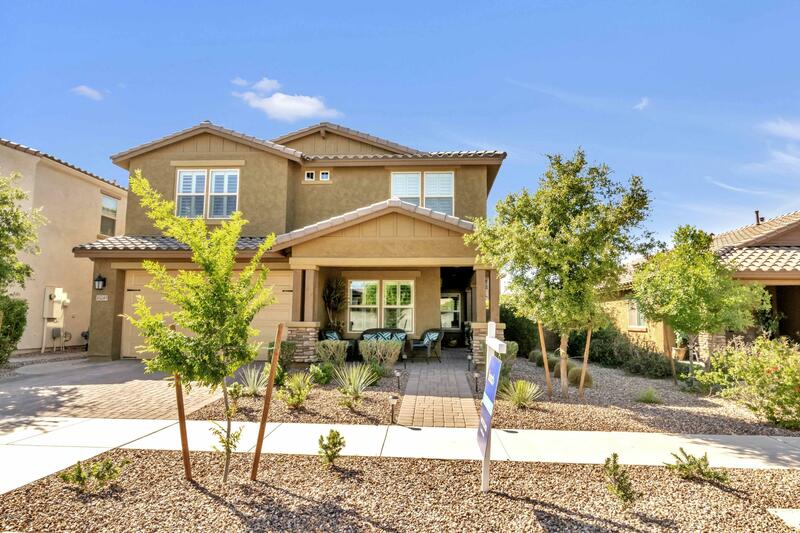 Masterful design and luxury are uniquely embodied in this 4 bedroom 3 bath stunning 2 story home with 3,912 SF of living space! 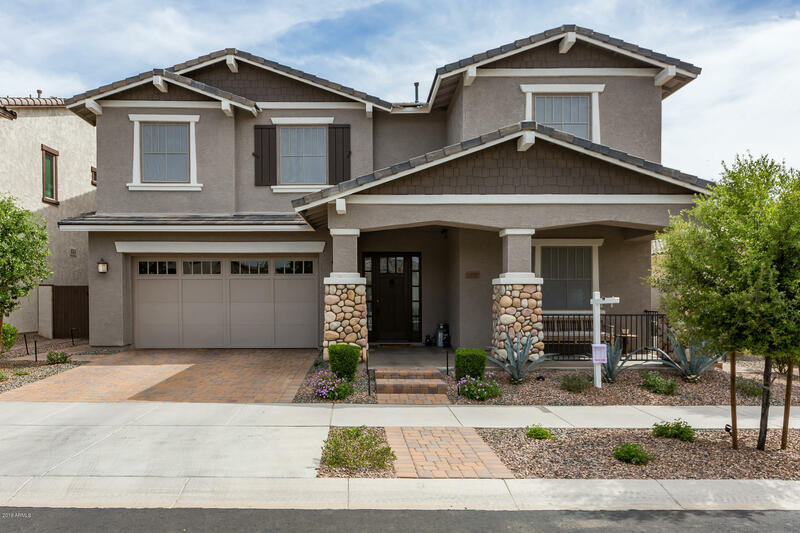 Immediately when entering this home you are greet with the amazing open floor concept, sprawling cathedral ceilings, high end plush carpeting, tons of natural light and soothing paint palettes! The island kitchen boasts granite countertops, crisp white cabinetry, SS appliances, dual sinks, plant shelving and a walk in pan"
"Situated in the sought after Eastmark community, this home shows like a model. Dotted with details throughout, chef's kitchen has granite & rich wood cabinets complimented by glass tile back splash & stainless steel appliances. Adjacent family room has access to meticulously kept back yard & patio. Attention to detail in all of the finishes, custom two tone walls, & plantation shutters throughout. Upstairs, private master has ensuite tile bath with large shower, double vanity & walk in closet. " "Motivated Sellers - Bring Your Offers!!! Absolutely beautiful, 4 bedroom home with highly coveted floorplan just a stone's throw from community park. If you're looking for a dream master retreat on the 1st floor, this is the one! Gently lived in and impeccably cared for, this one-owner home is the perfect family abode right in the heart of the lushly landscaped Cambium Court in Eastmark. 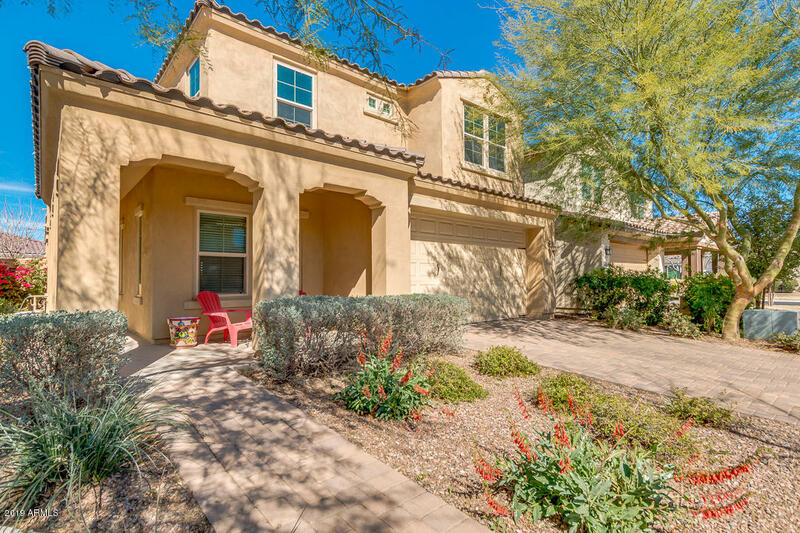 Amenities galore in the fastest growing community in Arizona! 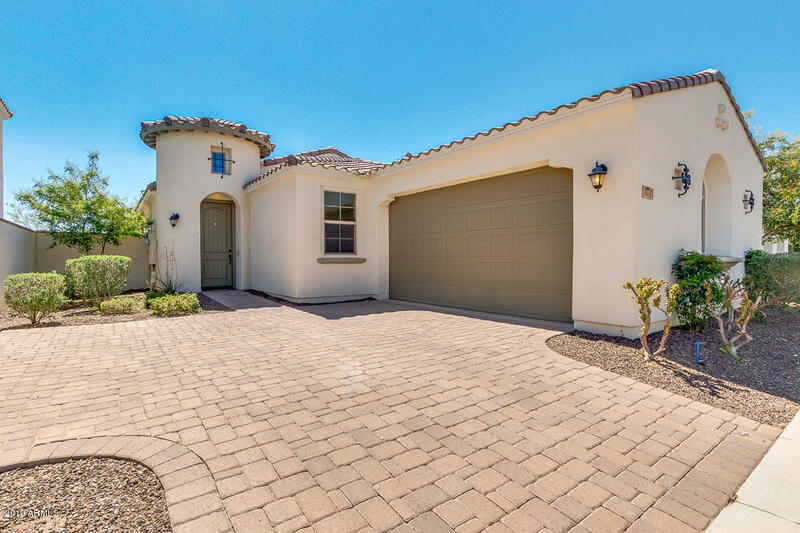 Lakes, community clubhouse for kids and adult"
"Built in 2015, this Mesa one-story offers granite kitchen countertops, a den, a patio, and a three-car garage. This home is part of the Eastmark Residential Association. Home comes with a 30-day buyback guarantee. Terms and conditions apply." "If you don't want to wait 6-8 months to build, or pay the inflated costs of builder upgrades...then you must see this absolutely stunning home in Eastmark. 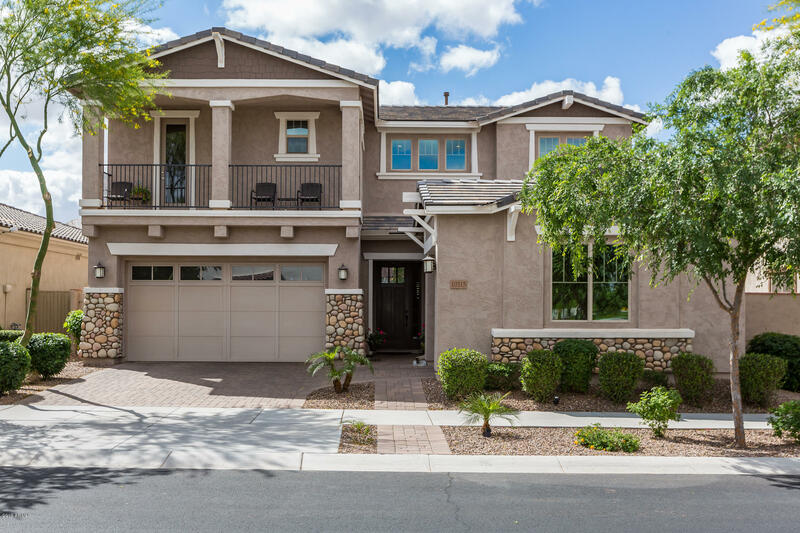 Besides many builder options, the Owners have added over $50K in custom finishes & fixtures. You'll love the flow of its well designed floorplan and the incredible attention to detail in every room. You'll appreciate the easy-care landscaping with stone pavers at the driveway, patio & backyard gathering area. The home is also across the stree"
"This single level, gorgeous home has 3 bdrms, separate den, 2.5 baths, & a 3-car tandem, extended garage, located in the desirable Eastmark community. The foyer is wide and inviting as you walk in. The open floor plan offers a spacious great room with a wall of glass (multi-slider) taking you out to a patio for your enjoyment. 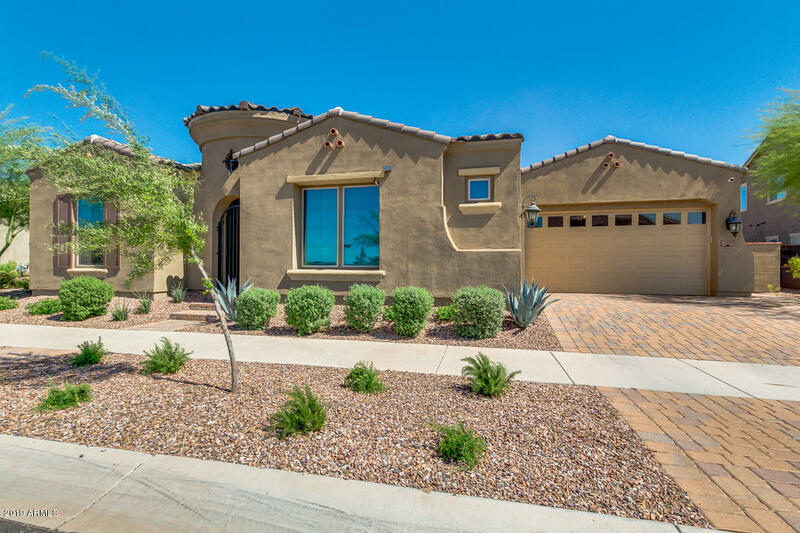 A gourmet kitchen includes granite countertops, a huge island, stainless steel 5-burner gas cook top with micro hood, pendant lightning, double built-in wall ovens, walk"
"Large & roomy north/south exposure 4 bedroom. In Eastmark with all the amenities & activities for kids & family. New schools nearby. From upstairs balcony you have mountain views and a beautiful view of a lush quiet park. Master is spacious w/lovely bath & dressing area, lots of closet space. Roomy 2nd level loft w/nice size bedrooms. Kitchen is loaded with upgrades inc stainless steel appliances that stay with the home. (Washer/Dryer stay too) Covered patio with kitchen/family room access make "
"Unbelievable opportunity to own one of the nicest 4 bedroom 2.5 bath homes in the amazing award-winning Eastmark community. North/South exposure with an over-sized 3 car tandem garage. Professionally designed backyard with room to play and covered patio. 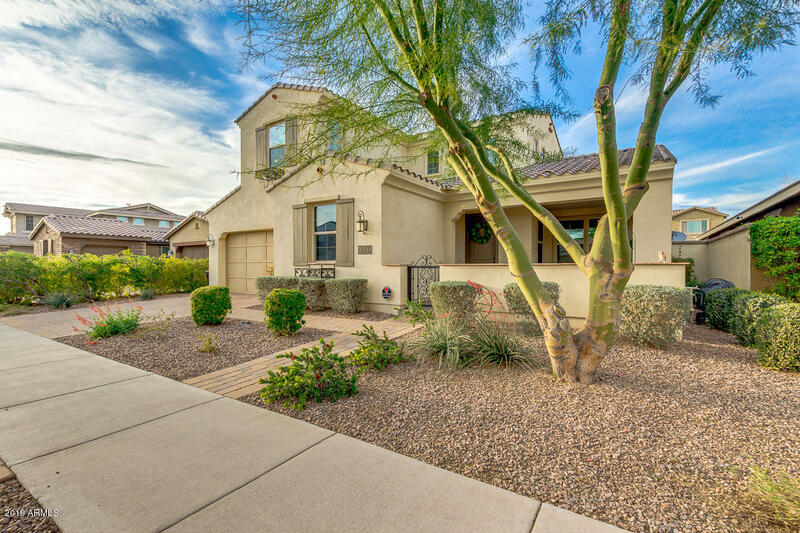 Close to neighborhood parks, fully equipped community center, pool, splash pad, and Basis School. Home also features private home office, playroom and loft for extra space. 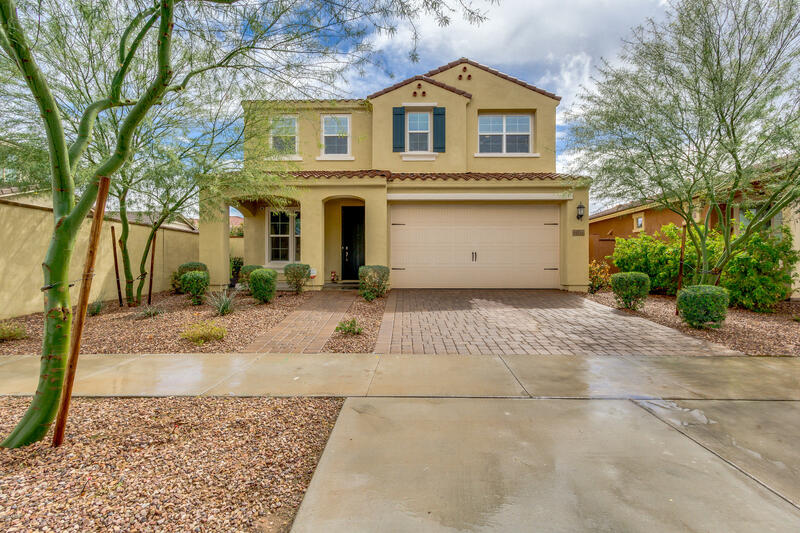 Oversized kitchen counter ties in with family room and breakfast area"
"Don't wait to view this beautiful 3 bed, 3 bath home located in the highly sought after community of Eastmark! The new carpet is remarkable with tall baseboards, enhancing your home one step at a time! The new interior paint is a great touch. Your front living room is vast in size; perfect for a game room, media room, or extra space for the kids to play! Walking down the grand hallway, you will step into your kitchen that is fit for a chef! 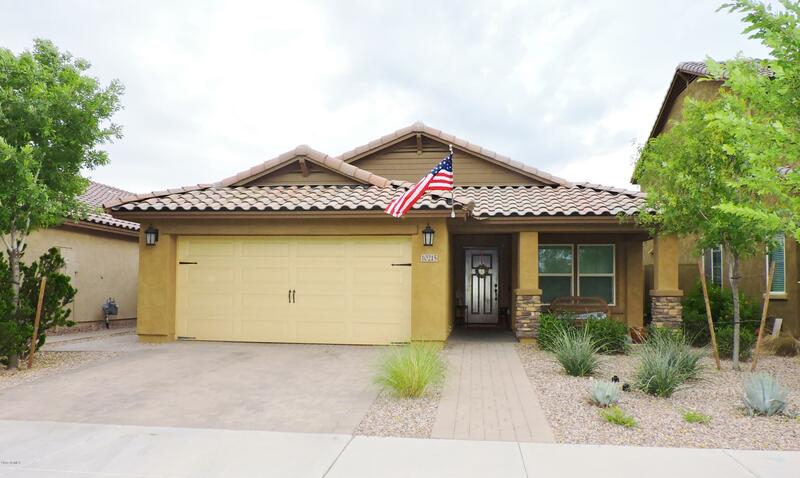 Granite countertops with an oversized island, oak cabin"
"Beautiful, clean home located in Eastmark! 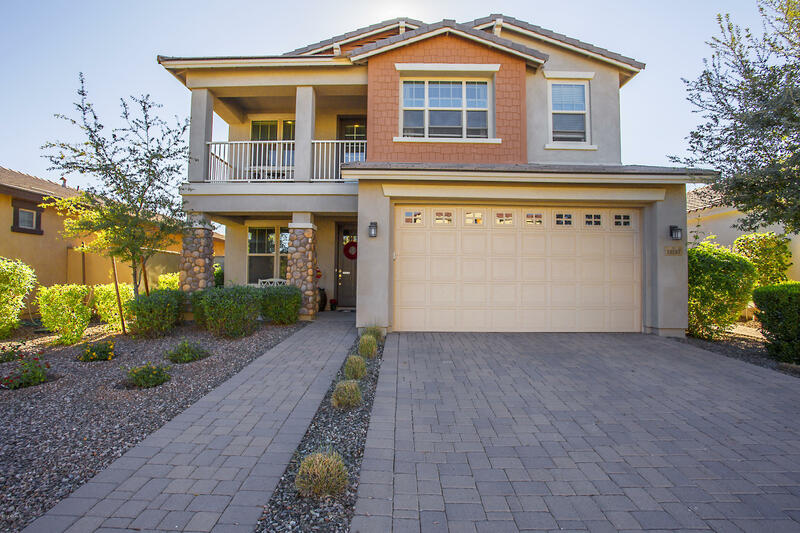 Enter into a spacious open floor plan featuring a large sliding wall of glass. The upgraded gourmet kitchen has an over-sized island, granite counters, pendant and recessed lighting, stainless steel appliances, pantry, upgraded cabinetry, electric cook-top, and double ovens. The mast suite offers a walk-in closet, double vanity, walk in shower and water closet. The backyard has a spacious covered patio and extra travertine conversation space. 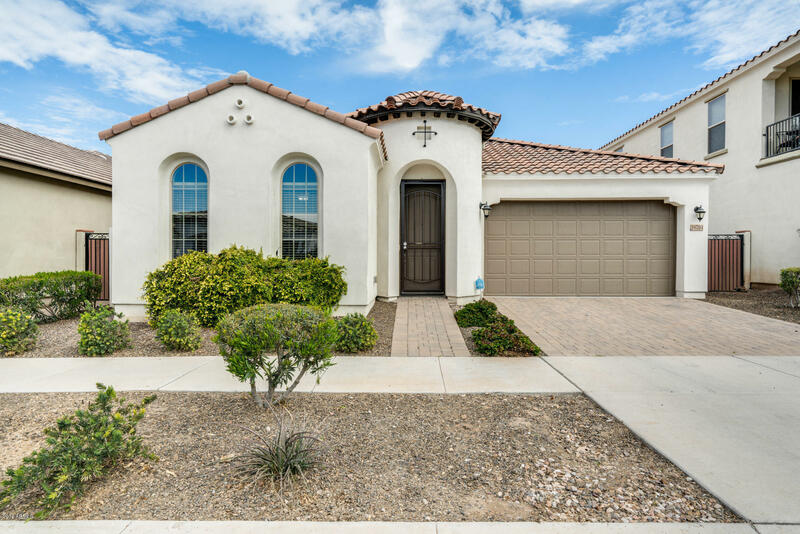 Fresh"
"Come see this stunning 3 bed, 2 bath single-story home for sale in the East Valley's vibrant planned community of Eastmark! 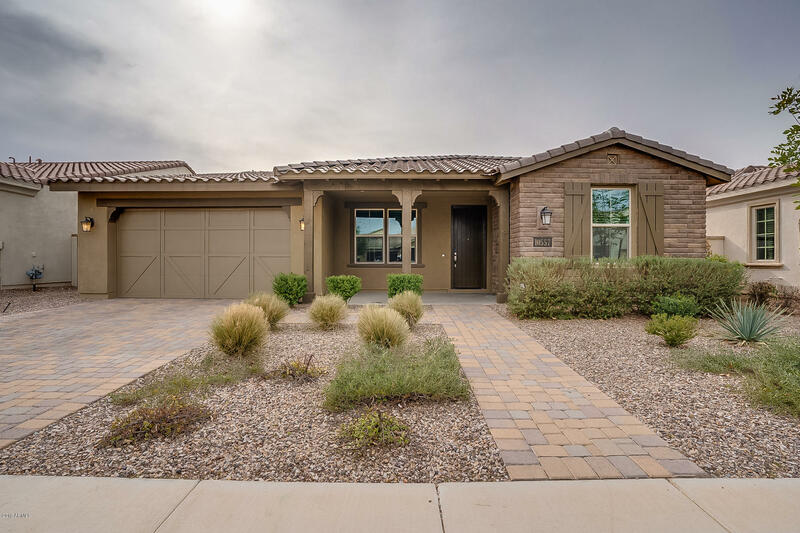 Featuring desert landscaping, 2 car garage, open-concept dining and living areas, a cozy den, and neutral paint throughout, you simply won't believe the bang for your buck! In the fabulous kitchen, a bounty of roomy closets and cabinetry, quartz countertops, stainless steel appliances, and a lovely island with a breakfast bar await your discerning eye. Inside the posh maste"
"A beautiful home in the popular Eastmark community. Gourmet kitchen includes staggered cabinets, granite counters, stainless steel appliances, built in microwave and oven, cook top range with upgraded hood. Breakfast nook and separate dining area. 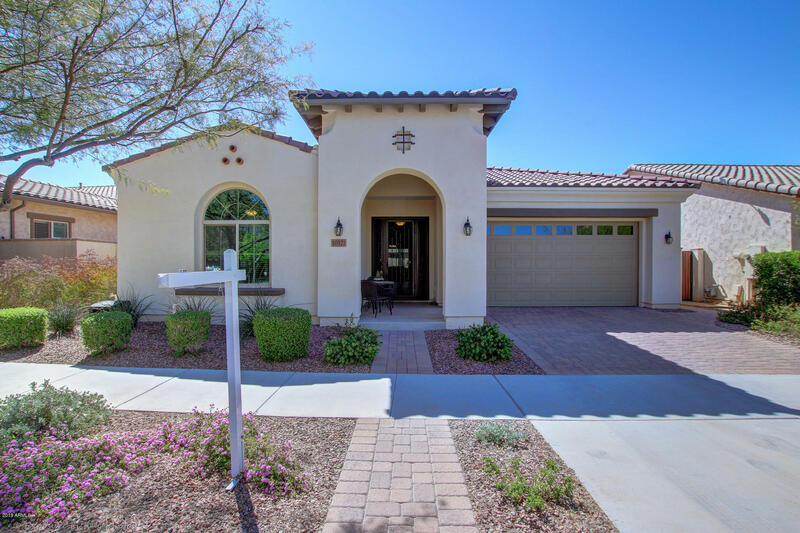 Large family room with vaulted ceilings and arcadia door that looks out to the covered patio. Three bedrooms with a separate den/office/playroom. Awesome garage with 2 foot extension, built-in cabinets, overhead storage and remote access garage door "
"One of the most affordable 1 story options in Eastmark and some of the nicest custom improvements too. Original owners have spent years adding custom woodwork and other upgrades since it was built. Coffered ceilings in office and family room; crown molding in every room; custom shelving in family room, office, and bedroom; 8 ft doors; ceiling-height mirrors in all bathrooms; 18'' staggered tile in the main shared spaces; french doors at the office; upgraded elevation with a large porch; kitche"
"Located in Eastmark #1 Community in Arizona 2 story 3 Bedroom 2.5 bath plus a Den & a Loft. Paver driveway with an over-sized 2 car garage. Beautiful wood-like tile throughout all of the main areas. Functional floor plan, double doors leading to den downstairs. Chef's kitchen is open to the family room with lots of can lights. Rich, dark mahogany cabinets, Gas range & hood, premium stainless steel appliances, granite counter-tops, pendant lighting & pantry. bar stool seating at the kitchen isla"
"Step into this move-in ready home in the desirable Eastmark Community. Open entry welcomes you to the family den. Kitchen includes granite countertops, stainless steel appliances, upgraded faucet and pullout recycle/ trash cabinet. Dining area flows into the large great room with wood feature wall. Ceramic tile in all the right places. Garage with overhead storage, garage service door and 4' garage extension to accommodate larger vehicles, added insulation in attic and garage. Situated on up"